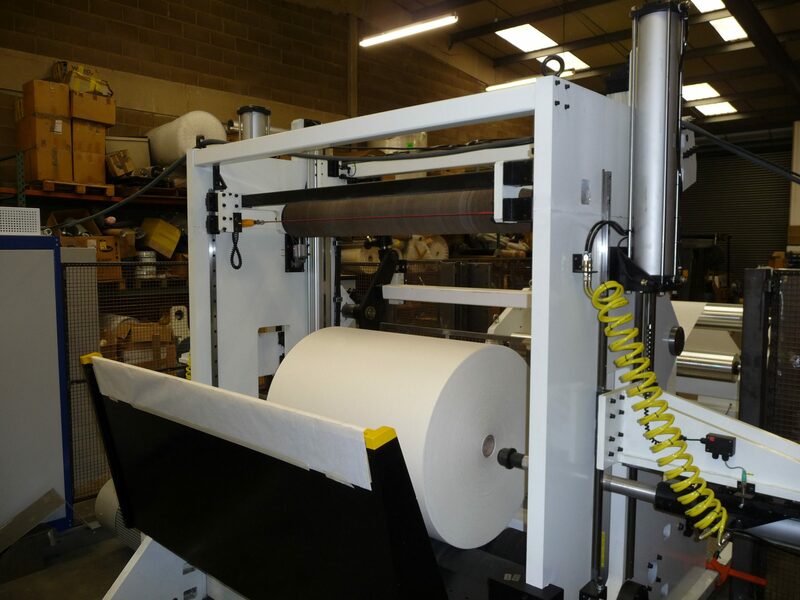 A large paper converter in the ASIA has bought one of our two drum slitter rewinders the machine has a web width of 2500mm with rewind diameter of 1500mm, running speed of 800 MPM. These winder are usually high speed converting machines, the two-drum surface rewinders typically uses the following method for controlling roll density. Sufficient wrap around the drum so that the web tension has little effect on the roll hardness when winding non-extensible product. Rewind roll hardness and profile are achieved by nip control on the rider roll pressure and torque control between the surface drums. Two-drum surface winders are normally used as high speed rewind slitters for grades such as papers and boards, nonwoven materials.